BAT CAFE MERCHANDISE available from CAFEPRESS.COM! 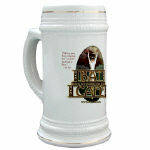 Through CafePress.com, you can buy mugs and T-shirts and other various items imprinted with the Bat Cafe logo or other images from the site. Souvenirs, as it were. 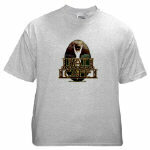 A few examples of what you can find on my shop on CafePress.com. This little gift shop is my attempt to defray the costs in running this site. You can also help support my efforts here by making a donation to this site through PayPal.